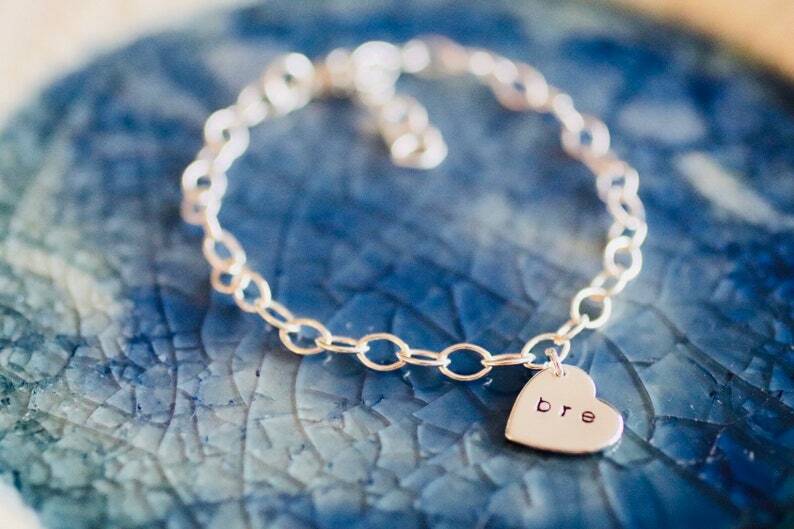 Sterling Silver heart charm bracelet is just the right size. This is for the charm bracelet with a gorgeous sideways Sterling Silver heart. Heart charm can fit a name up to seven characters in our smaller font, one XL initial, a monogram with three initials, a number or date. Please pick a size from Toddler to Adult. We can set up a custom size as well if needed for you. The links on this charm bracelet are 4.5mm. We have a great selection of charms if you would like to add more. Please add any additional charms a la carte to the cart and stones too and then we can build one that is "Perfectly Yours"
All of our Charm Bracelets come in a keepsake box and are ready to be gifted.